What does a year’s worth of channel transactions tell us about a client’s loan payment preferences and opportunities to switch channels? Why do clients repay their loans at the same place month after month? How might financial service providers motivate their clients to explore alternative loan payment channels? These are some of the questions that we, the OPTIX team at BFA, set out to learn with our partner, Banco WWB in Colombia. As financial service providers increase coverage through myriad financial access channels, their customers have an opportunity to switch to a different channel for the same transactions. Understanding client interaction with various channels is a complex mix of preferences, use cases, pain points, business case and scalable feasibility. So where does a financial services provider start? 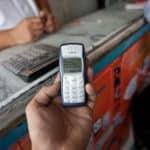 Banco WWB provides banking and microfinance services to small entrepreneurs and micro- and small enterprises in Colombia. Banco WWB was founded as an NGO 37 years ago in Cali, the capital city of Valle del Cauca Department, and obtained its banking license six years ago. Banco WWB now serves 210,000 borrowers primarily through an individual lending methodology and 226,500 depositors (165,000 clients are both borrowers and depositors for a total of 270,000 clients overall) through a network of 143 branches across Colombia. Banco WWB worked with OPTIX, which is managed by BFA, this past year to optimize their channel strategy for their savings and loan products. BFA brings over 10 years of deep expertise in customer and business insights to unravel the business strategy for the provider and decipher preferences and behaviors of the low-income customer. By looking at both sides of this equation, we are able to help Banco WWB think about a business and channel strategy that strengthens their business while creating a more compelling portfolio of services for their customers’ needs. What does the transaction data analysis tell us? We started with a rigorous analysis of the institution’s MIS data, which allowed us to identify patterns in the clients’ interactions with the savings and loan channels with Banco WWB in Colombia. 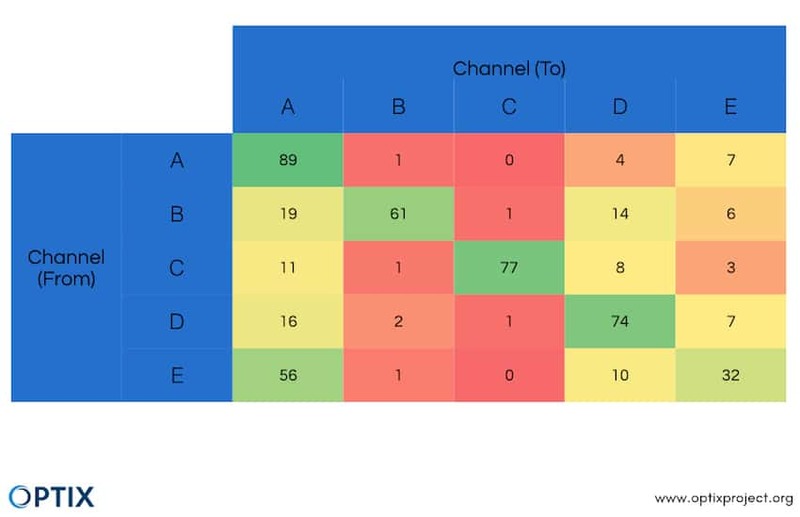 The results point to the channels that have the most turnover and the clients who are most likely to switch, and why this might be happening. These evidence-driven insights allow for Banco WWB to refine its business case strategy as it looks to focus on certain channels to expand to clients and deepen their relationship with them. Improving WWB’s channel strategy can also increase customer satisfaction by saving them time, money or providing security. For example, Banco WWB clients, depending on the region they live in, can choose between four or five different loan payment channels. Clients can go to the nearest branch, a certified merchant (Corresponsal – Alianzas or Exclusive to WWB), a local lottery center or a postal center to make a loan payment. These channels accept different transactions. For example, at lottery and postal locations clients can only make loan payments. Analyzing a year’s worth of transactions across channels, the table below highlights the transition of loan payments from one channel to another. For example, 89 percent of loan payments that took place at a bank branch in a given month, also took place at a bank branch the next month. From the table, we see that clients are less likely to make loan payments at lottery centers from one month to the next, opting to switch to a bank branch or postal offices. Channel analysis of where loan payments are made (in percentages). What does the customer insights analysis tell us? To better understand client motivations for using (or not using) alternative channels, we interviewed 261 clients across the channels with an intercept survey. 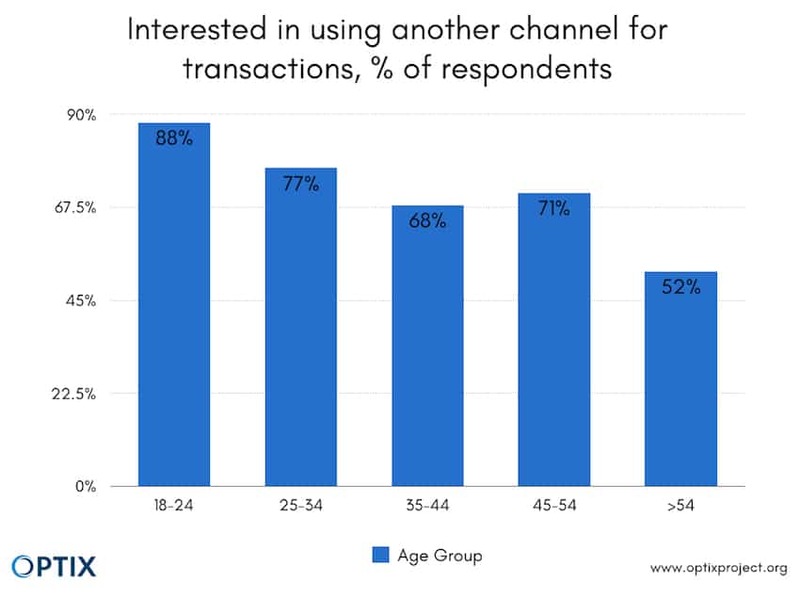 The figure below shows that younger clients are more interested in using other channels for transactions compared to older clients. Demographics of clients interested in exploring other channels. Understanding why clients might or might not use a different channel is just as important as understanding who is switching. The figures below show the motivation for clients choosing their current location for a transaction and the reason they might not be interested in using other channels. The No. 1 cited reason for choosing a transaction location was proximity to work/household while the No. 1 reason for not being interested in another channel was safety (with proximity second). Client motivations for choosing or using other channels. Where does Banco WWB go from here? As WWB expands its reach to new areas across Colombia and grows its network of access channels for clients, it should keep in mind client preferences and reservations. Through the analytical work of the OPTIX project, WWB IS better positioned to visualize the strategic directions of the bank with regard to its agent network channel. Any channel that WWB promotes or grows in the future should tackle client preferences to make clients happier and improve the business case of alternative channels for the bank. This is one of several areas of work with Banco WWB through OPTIX. Future areas of engagement include looking at implementation and management strategies needed to grow the agent network to scale. 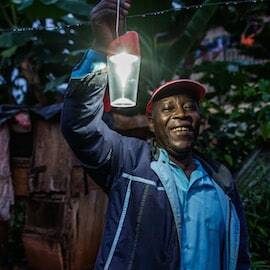 As we continue with Banco WWB over the course of the project life, this experience serves to build the insights and lessons learned about building better financial services portfolios for low-income customers. BFA and MetLife Foundation created OPTIX to support financial institutions in building better portfolios of products for their low-income customers. Starting in 2016, OPTIX has partnered with four financial institutions in Mexico, Colombia, Vietnam and Bangladesh to better understand the benefits of cross-sell strategies for the businesses and their clients. Maelis Carraro is an associate at BFA. Justin Grider, a UX quantitative researcher at Facebook, was formerly an analyst at BFA.